Opposition in Albania have pressed charges against Minister of Interior, Sander Lleshaj and State Police. According to the Democratic Party, which is in opposition, police have unlawfully used teargas and water cannons on crowds of demonstrators with the aim of dispersing them. Gazment Bardhi is the opposition’s representative who has filed the criminal case at Tirana Prosecutor’s Office. According to this senior official of the Democratic Party, “by engaging in such unlawful actions, police were not trying to apply the law, but prevent the holding of the demonstration”. This will trigger the start of an inquest by the Prosecutor’s Office, which will look into the use of teargas and water cannons by police forces during the opposition’s demonstrations held in February and March and make an assessment as to whether it complied with the law. 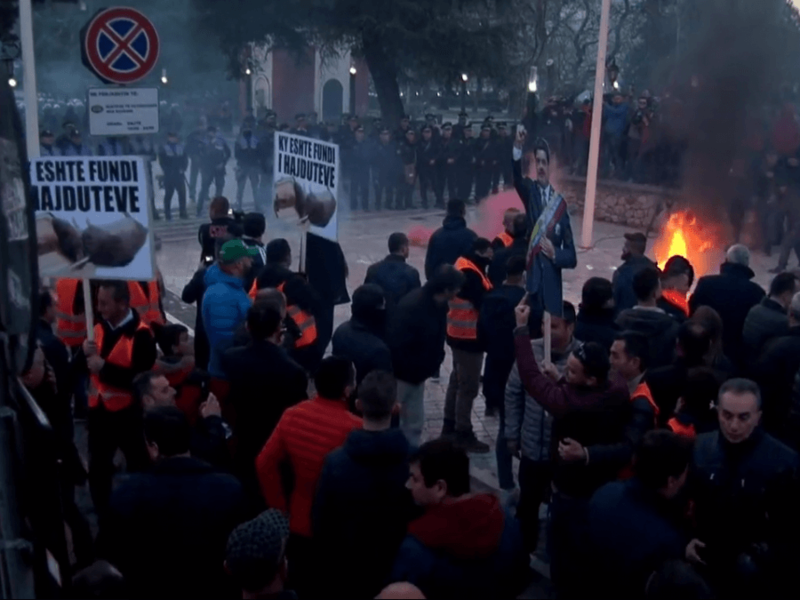 On the other hand, State Police has also pressed criminal charges against the democrat official, Gazment Bardhi and other political figures of this party for violent acts against police officers during these demonstrations.